Often imitated … never duplicated. More than just a great place to shop … visit Journey Home for a psychic reading, aura photography, or classes on Tarot, Crystal Healing, and Reiki. 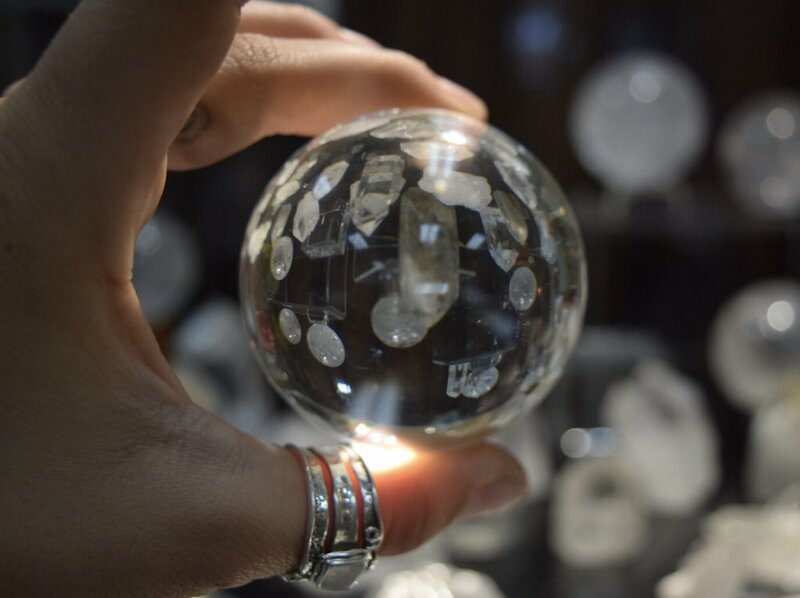 Journey Home is a metaphysical experience and conscious lifestyle boutique where you’ll discover a treasure trove of crystals, gemstones, and jewelry. Need supplies for meditation or magic? We’ve got you covered with a full selection of sage, incense, candles, herbs and oils. Divination? We’ve got that too. Visit us for pendulums, tarot and oracle cards. We’ve got wands and crystals for energy healing, singing bowls for sound healing, and sacred art for your home or altar. Whether you're shopping for yourself or want to find a the perfect, meaningful gift for someone you love, our friendly staff is happy to help. Journey Home has psychics on duty 7 days a week to help you. We offer Tarot, Vedic Astrology, Shamanic readings, Angel Guidance, and Reiki. Chakra and aura cleansing. Se habla espanol. Walk-ins welcome from noon - 5:00p. After 5 by appointment. Live far away or can’t make it to the shop? We also do telephone readings. Call us at 805-650-8272 to book your reading. Misteri dei Tarocchi© is a unique full course organized into 9 Modules that will get you up & running if you're a beginner or give you fresh insight and new approaches if you're experienced. The program is totally flexible to suit your needs and budget. Take one module or take them all*. Misteri dei Tarocchi© is the real deal. Sign up with your email address and get a 20% discount thank you coupon. We respect your zen. 100% spam-free guarantee. You may unsubscribe from these emails at anytime. Thank you! You’ll receive an e-mail with your coupon soon.